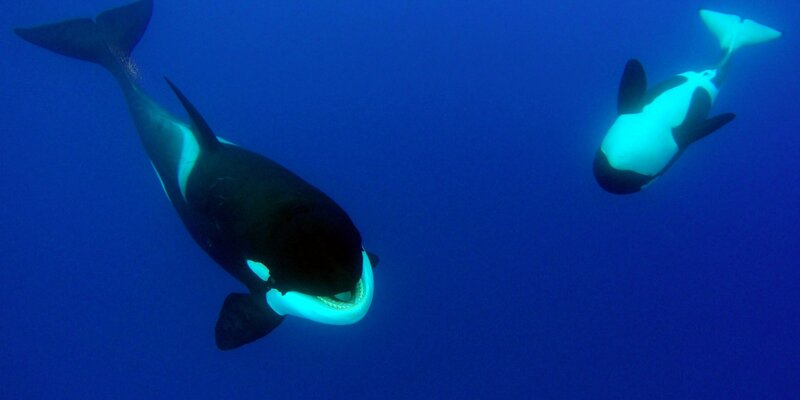 Orcas use acoustics for navigation, detecting predators and prey, and communicating with each other. Courtesy of Rebecca Wellard. 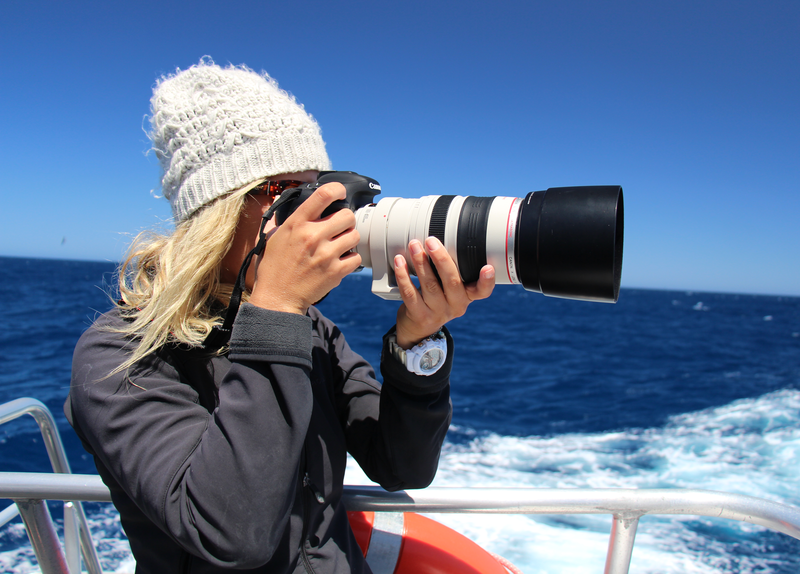 Rebecca “Bec” Wellard is a marine scientist currently focusing her research efforts on orcas in Australian waters. 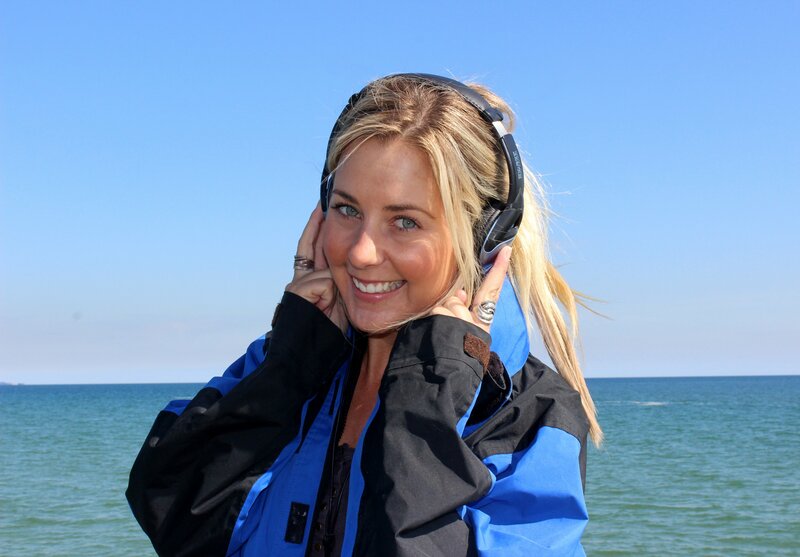 Building on her past research studying bottlenose dolphin communication and how boat noise affects this communication, Bec is now working on her PhD by researching orca population dynamics and acoustic behavior in Western Australia. Curious to know more? We asked Bec what it’s like to study wild orcas, and what she hopes her work with cetacean bioacoustics will accomplish. Here’s what she had to say! Bec Wellard is an Australian marine scientist who studies orcas. Courtesy of Rebecca Wellard. 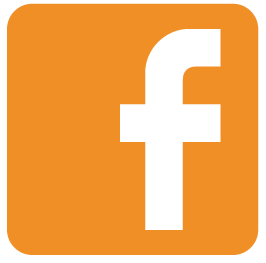 ZFK: Tell us a bit about yourself, your background, and your current research with Project O.R.C.A. What drew you to marine science in the first place? BW: Growing up on the beaches of Australia meant I was always in or around the ocean. Whether I would spend the whole day exploring our local beach or sitting tight in Dad’s boat out on the bay, I found out at an early age that the ocean was my happy place. I also have a never-ending fascination with animals. Since I was a kid, I was intrigued with all creatures—my poor mum would find lots of different animals tucked away in my bedroom, from snails to the neighbor’s cat! So combine this love for animals and my love for the ocean, and it makes sense that I’ve been studying marine animals for the last 15 years now. I’ve been lucky enough to work with a variety of marine mammals over the last 15 years, including bottlenose dolphins, humpback whales, sperm whales, blue whales—the list goes on. I have a special interest in cetacean bioacoustics. I am eager to learn how they communicate with each other. 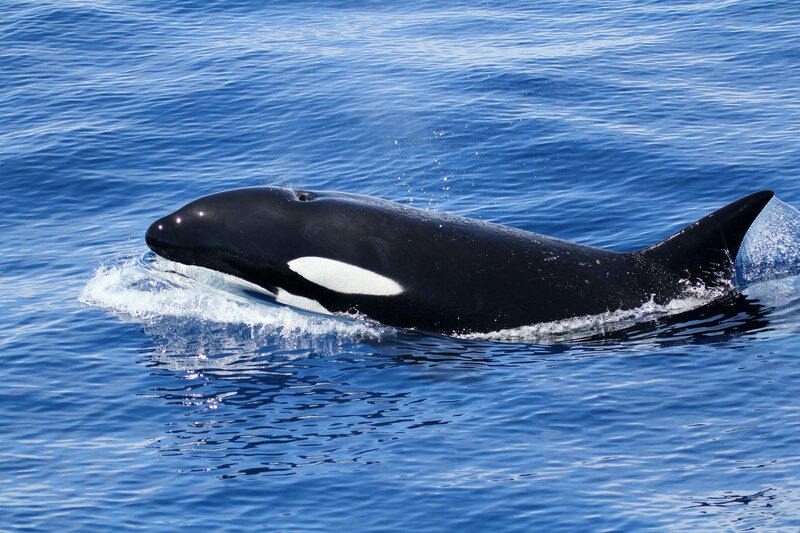 I am currently completing my PhD studying the killer whales in Western Australia, a project investigating their population dynamics and acoustic behavior. I have been studying this population of killer whales for nearly five years. We know very little about the killer whales here in Australian waters; their transient nature means they are difficult to study. My research is the first dedicated study on the acoustics of killer whales in Australia, which is very exciting and means I have a lot to learn from them. From my research, Project O.R.C.A (Orca Research and Conservation Australia) was born to help expand on killer whale research in Australia and communicate the science. I think science and conservation go hand-in-hand, and without us scientists telling everyone what we are learning about our world, the public can’t help protect it. We need to bridge the gap between academia and the general public—something I hope Project O.R.C.A can help achieve. ZFK: Why is it important for scientists to understand cetacean bioacoustics? BW: The ocean is far from quiet. Every time we lower our equipment, there is always something to listen to, whether it be sounds that the ocean makes, like waves, or sounds man makes, like ship noise, or sounds from the animals of the sea. Many animals produce sound, from the tiniest shrimp to the biggest whales. The ocean is very deep and light can only penetrate so far below the surface of the ocean, meaning many marine animals are living in an environment where they can’t rely on their eyesight. So many marine animals have evolved to “see with sound”, using acoustics for navigation, for detecting predators and prey, and for communicating with other members of their species. With sound traveling almost five times faster through seawater than through air, acoustic communication provides an efficient and effective way for cetaceans to communicate. Each species of whale and dolphin produces distinctive sounds including whistles, moans, clicks, and buzzes. Scientists can listen for these sounds and detect different marine mammal species that may be in the area. We use hydrophone arrays to detect the position of a whale producing a sound and sometimes can successfully follow these animals and track them as they move about in the ocean. ZFK: How exactly do you study bioacoustics in wild marine mammals? BW: There are many ways you can collect sounds from the ocean, and we use a few different methods. The main method we use to collect acoustic data for our killer whale research is by deploying a hydrophone—an underwater microphone—over the side of the vessel. We do this when we have whales nearby and are close enough to record them. Generally, they need to be within a few kilometres of the recording device. When we first sight killer whales, we start taking photos of the pod for photo-identification purposes. We try to take photos that help us identify individuals, things such as their dorsal fins, eye patches, and saddles. Once we have enough photos to help us identify individuals, we switch off the boat engine and put the hydrophone over the side and take a listen. Whales and dolphins don’t always talk though! That is a misconception many people have. So it is a game of patience and luck and means I have to spend a lot more time out at sea trying to get these acoustic recordings, which isn’t a horrible way to spend your day. ZFK: Orcas are beautiful, charismatic creatures that many people connect with on a deep level. Can you share an anecdote or experience that moved you to want to learn more about them? BW: Orcas fascinate me. They are highly intelligent, live in complex societies, have strong family bonds, and their acoustics with different dialects keeps me in wonder of them. Also, their inquisitive nature and playful attitude makes field work such a joy! The more time I spend with them out at sea, and the more I learn about their behavior, the more questions I have about them. There are some special days that spring to mind—whether it be a day we saw lots of new calves or witnessed an attack on another marine animal. Although these days sound extra exciting, I am grateful for every day out there on the water, and each and every day is exciting to me. We are still at the frontier of science studying this population of killer whales here in Australia and are still discovering new things about this population every time we are out in the field. ZFK: What threats do orcas face in the wild, and how do you hope your work will affect positive changes for these animals and their ocean home? BW: What we understand, we can protect. 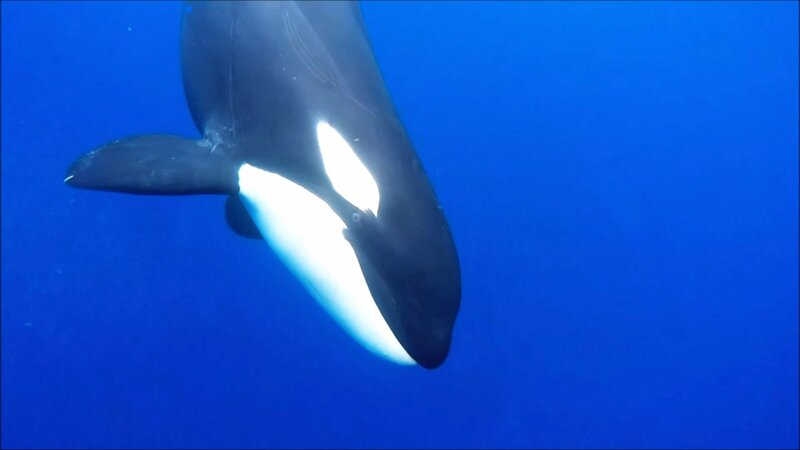 Right now, we know very little about the killer whales in Australian waters, and we need to obtain baseline data so we can get a basic understanding of their population—things like where they are and where they move to, what they eat, and what is in their environment around them that could be having an impact. What we understand, we can protect. Orcas face issues like all marine megafauna, such as pollution, overfishing, and habitat degradation. They are an apex predator; they play a significant role within the ecosystem that they reside, and knowledge of their population status can serve as a proxy for ecosystem health assessments and monitoring. Once we know more about these killer whales in Australia, we can help protect them and the environment they live in. And I hope that my research helps us work towards this, so I can make a positive impact on not only the orca population but also their ocean home. 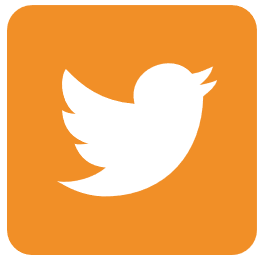 Connect with Bec on Twitter and with Project O.R.C.A. on Facebook and Instagram. 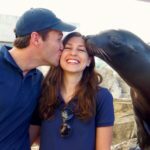 Bethanie Hestermann is a freelance writer and co-author of Zoology for Kids and Marine Science for Kids. hello, your an amazing person you completely inspired me and I’m blow away! hope you do well I’m all for you! you all are amazing people that love animals and want to save them tanks so much for teaching me more about the aquatic animals!